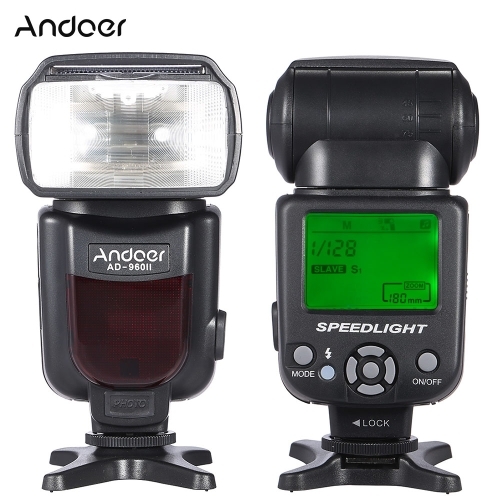 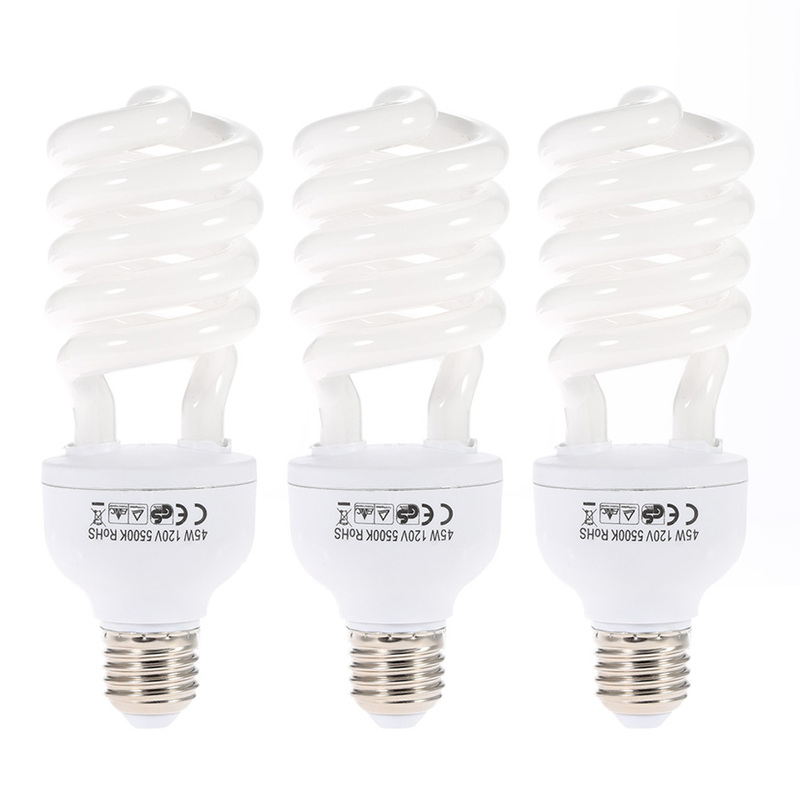 45W super bright light bulb provides optimum illumination with 5500K color temperature. 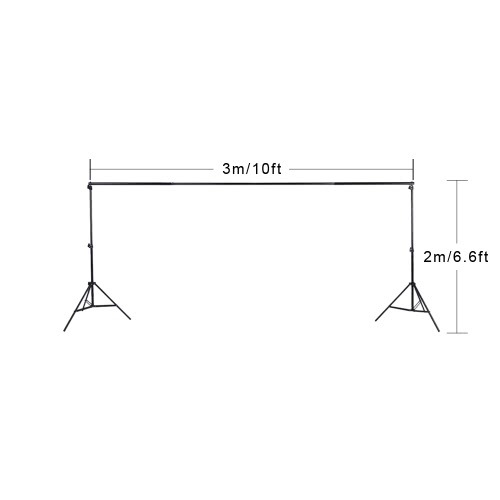 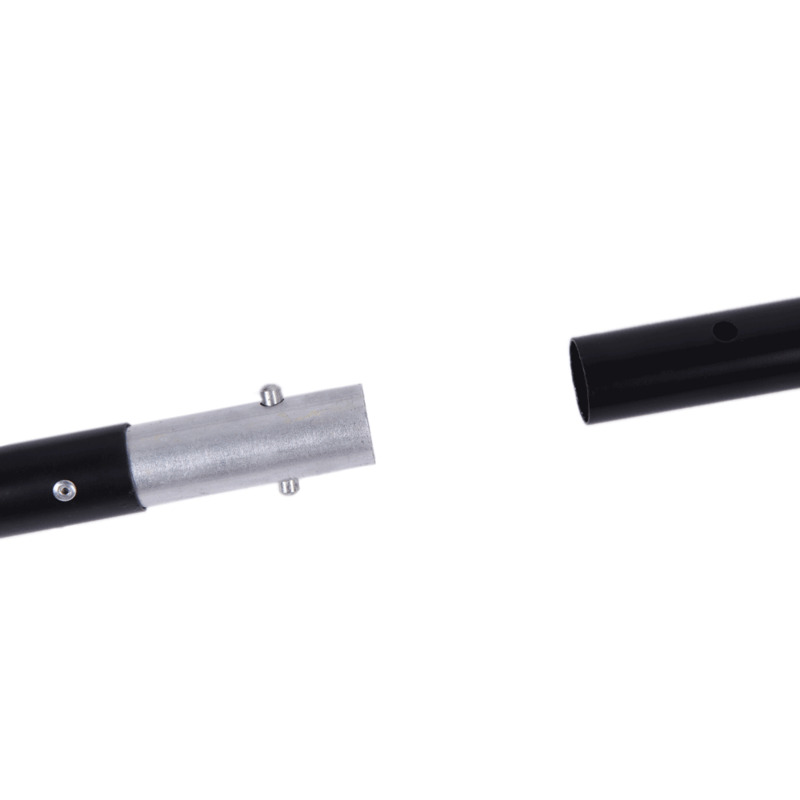 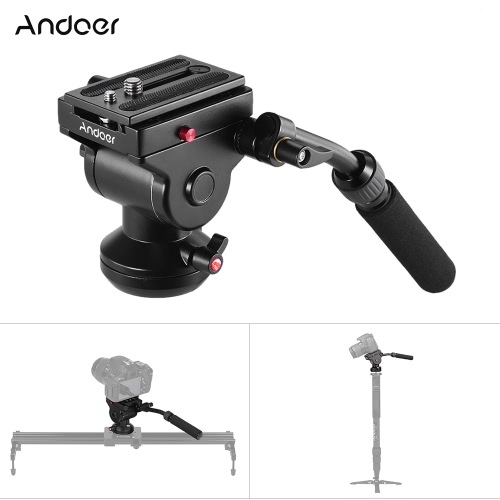 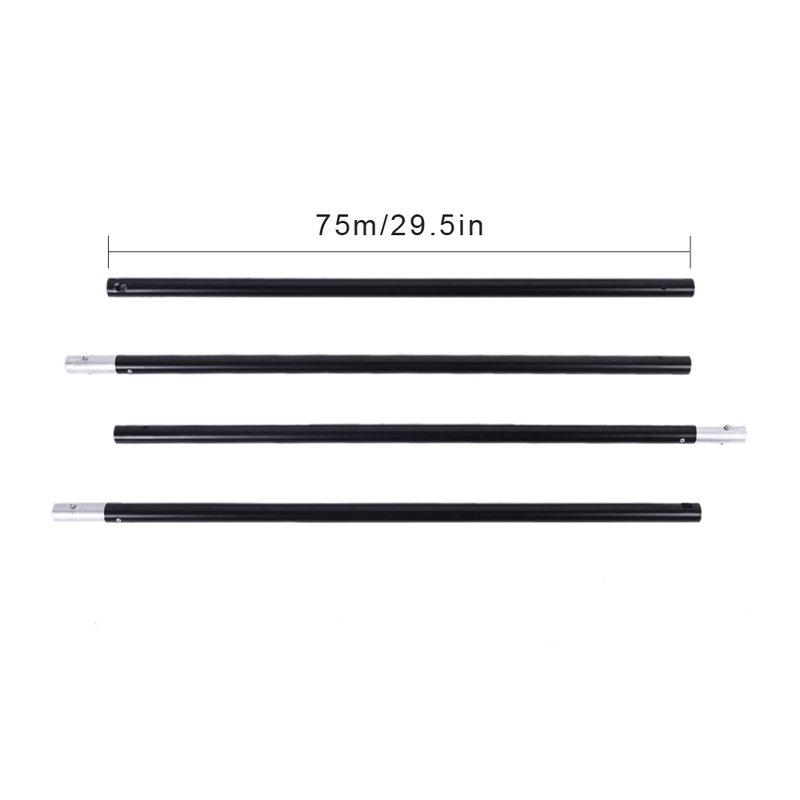 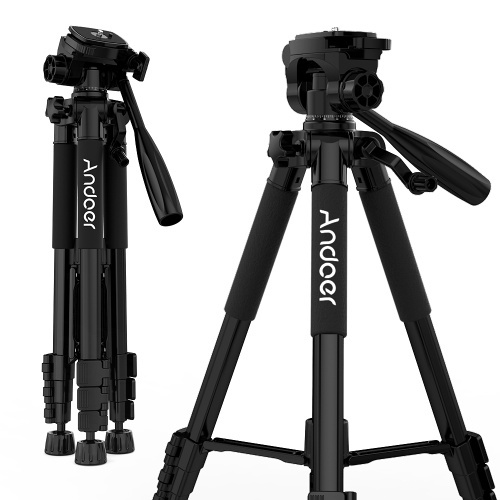 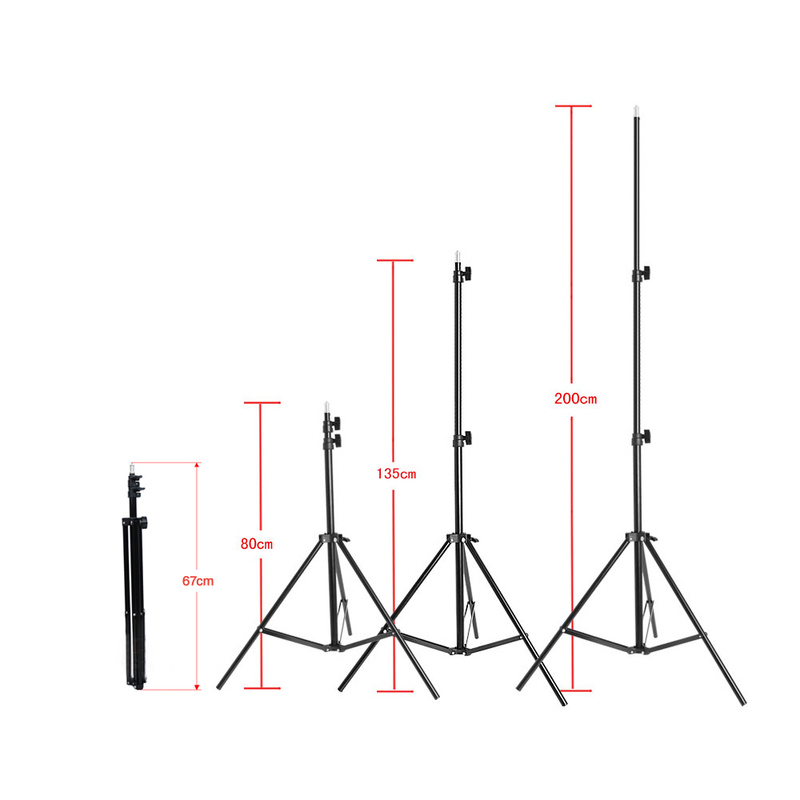 High quality adjustable light stand, 3 sections, max 2m length, can perfectly suit your needs. 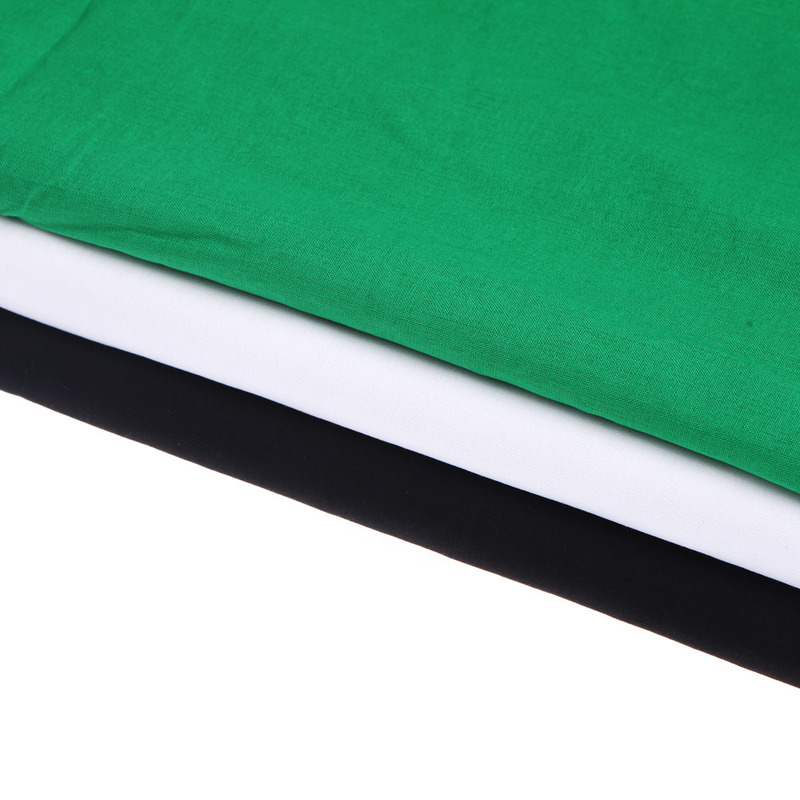 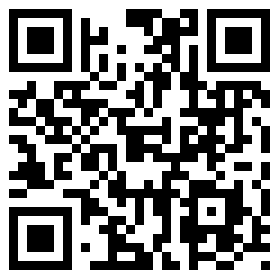 Three backdrops(white & blue & black) for you to choose. 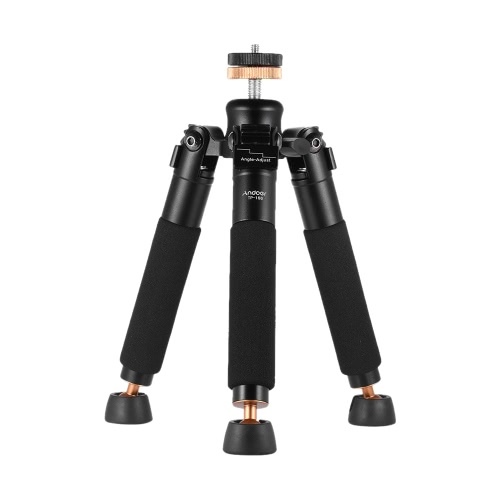 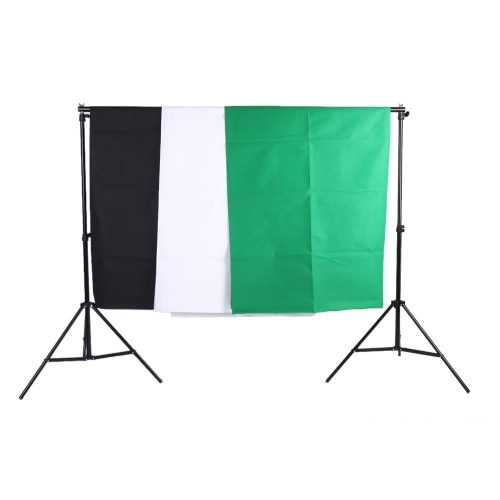 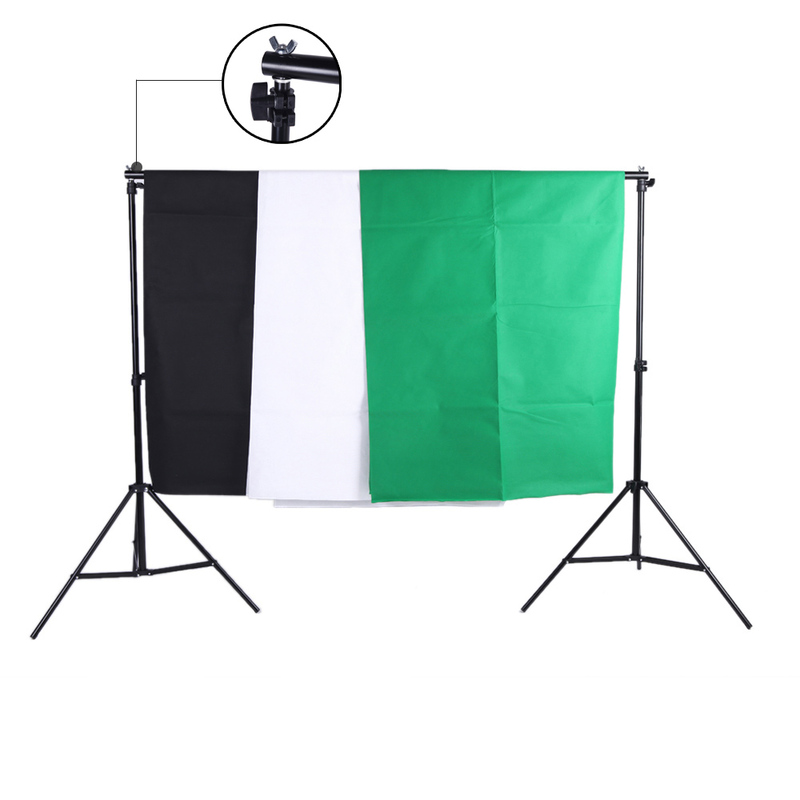 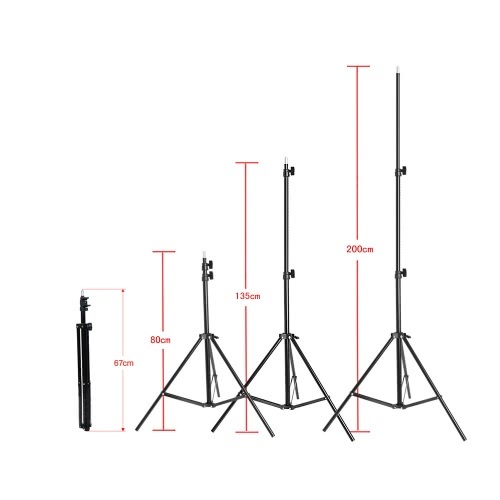 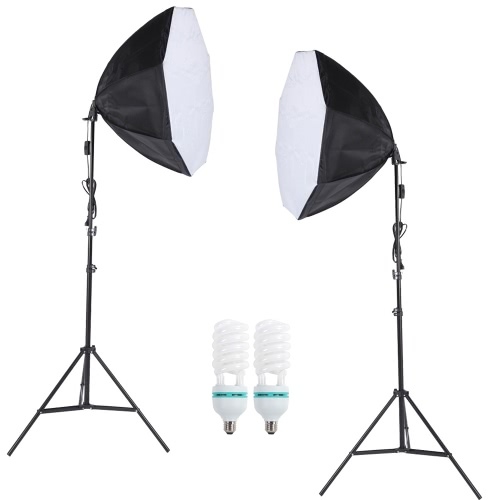 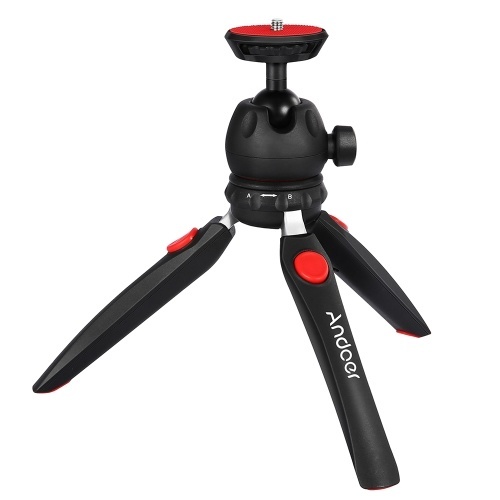 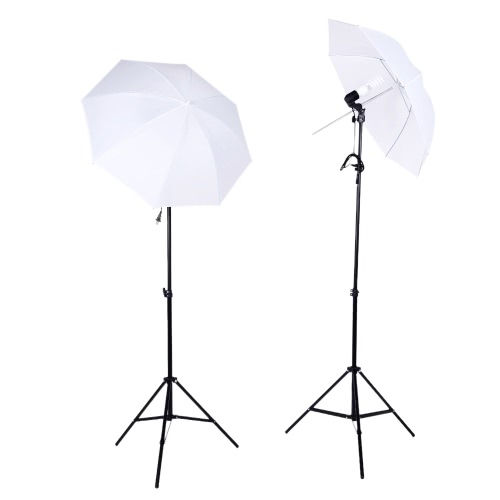 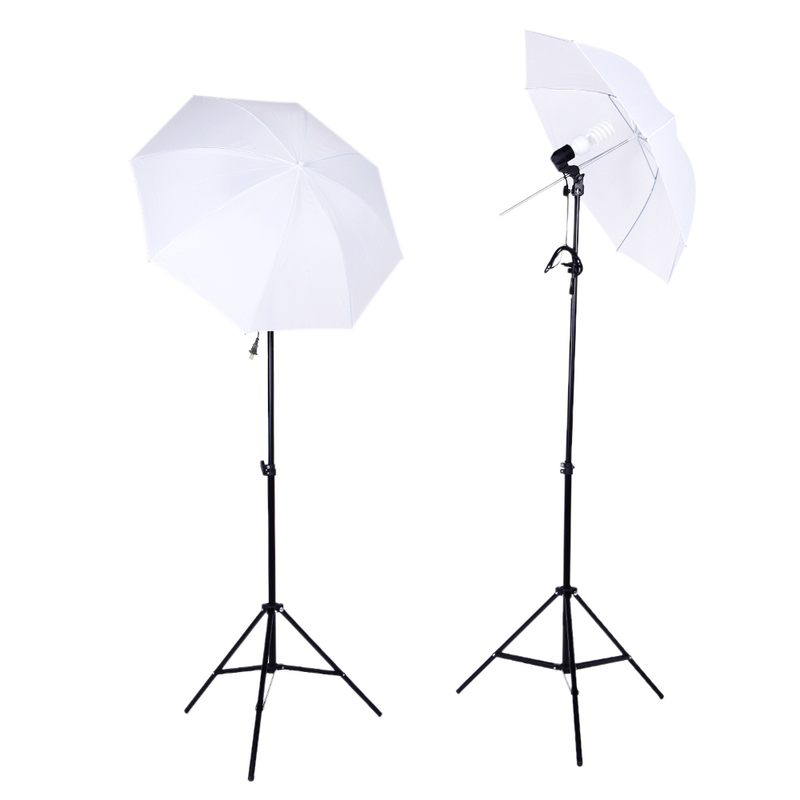 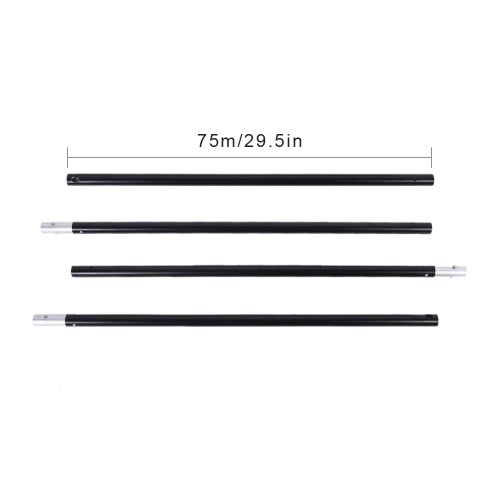 Aluminum alloy background stand set, max 2m length. 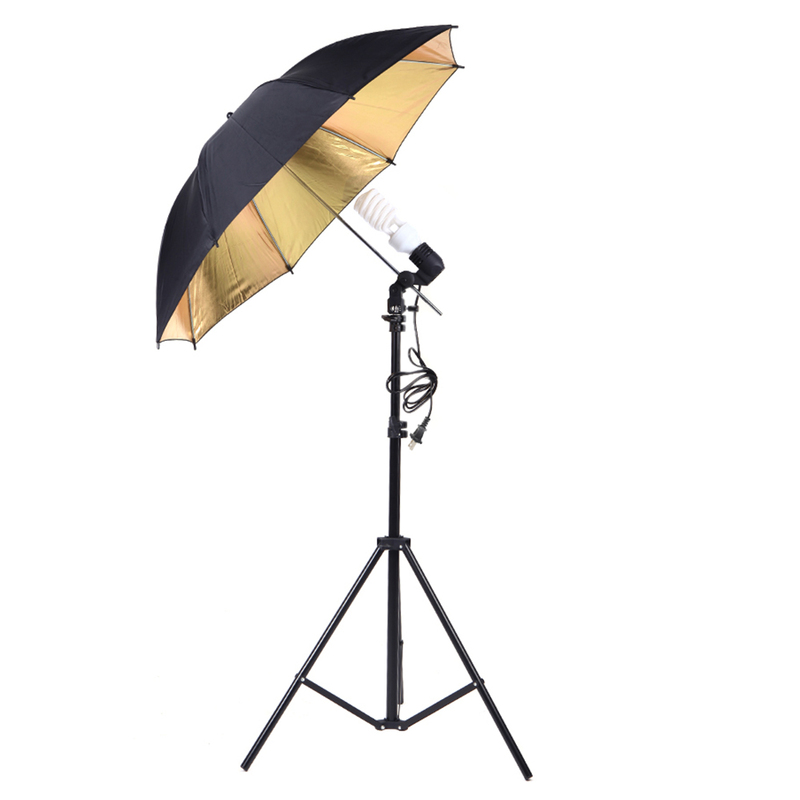 Two 83cm studio shoot-through umbrella to reflect the light the the product. 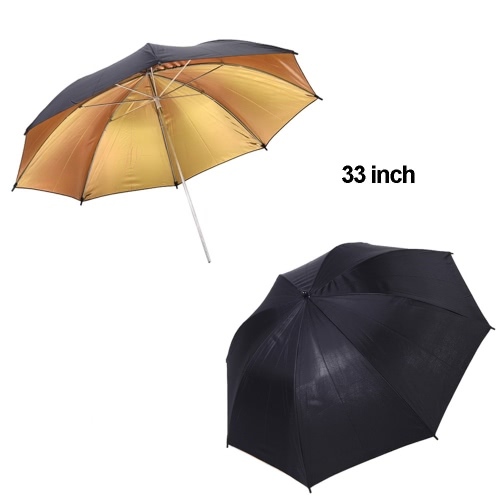 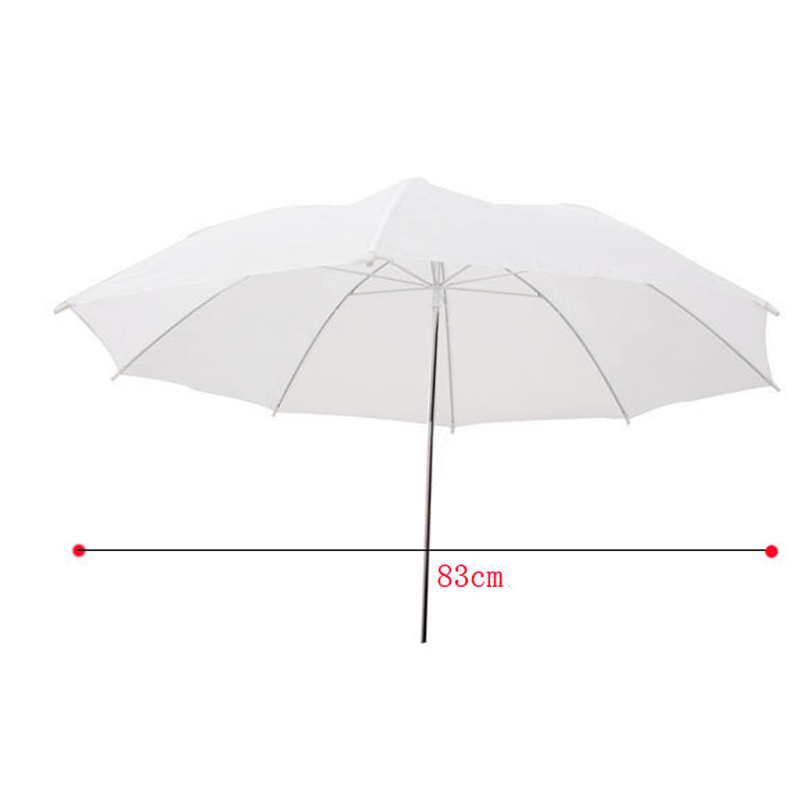 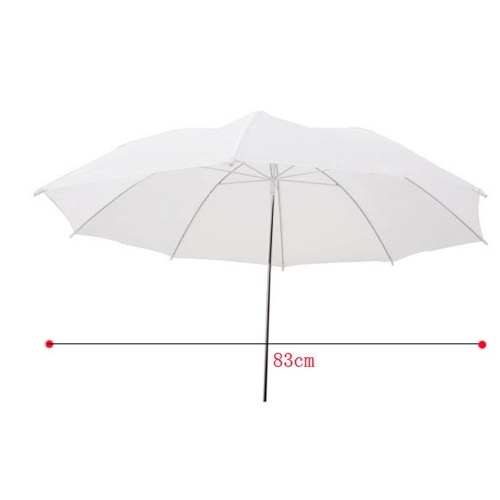 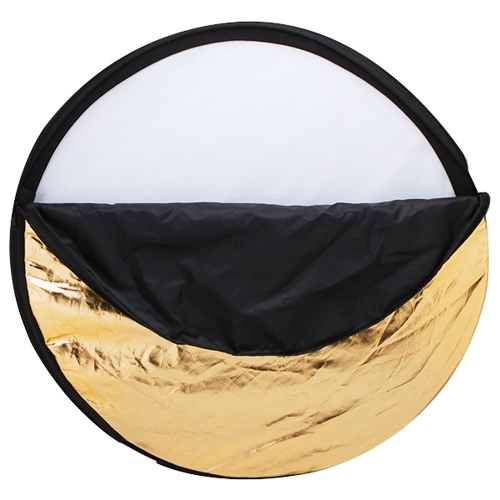 One double layers umbrella(black externally, golden internally) to minimize light loss and maximize light spread. 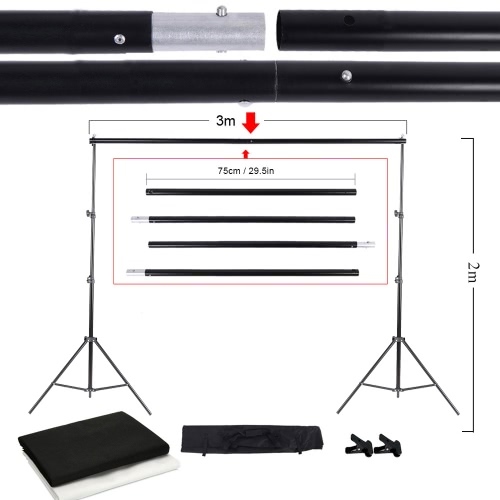 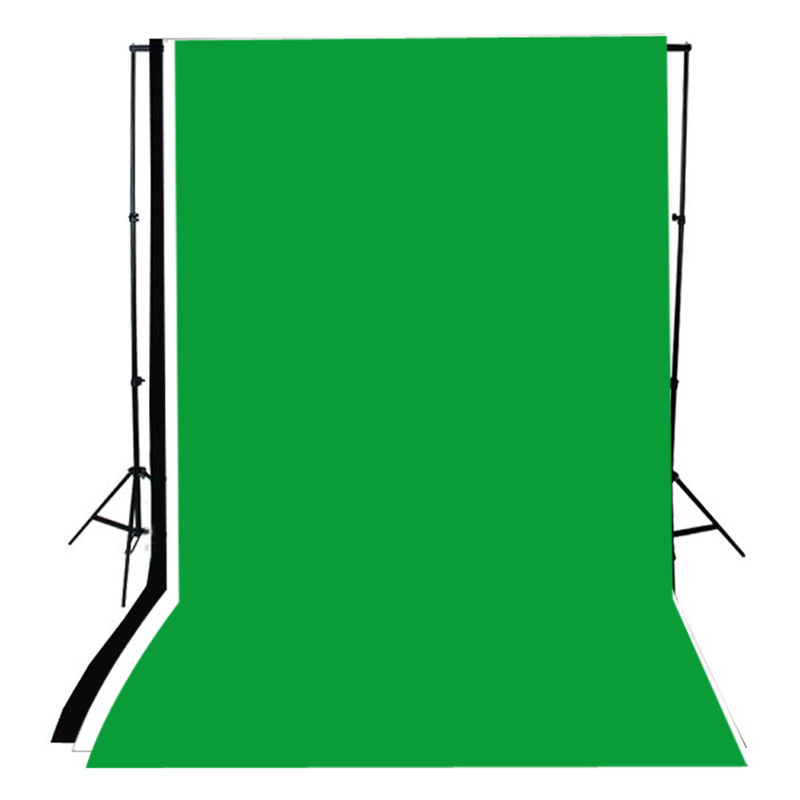 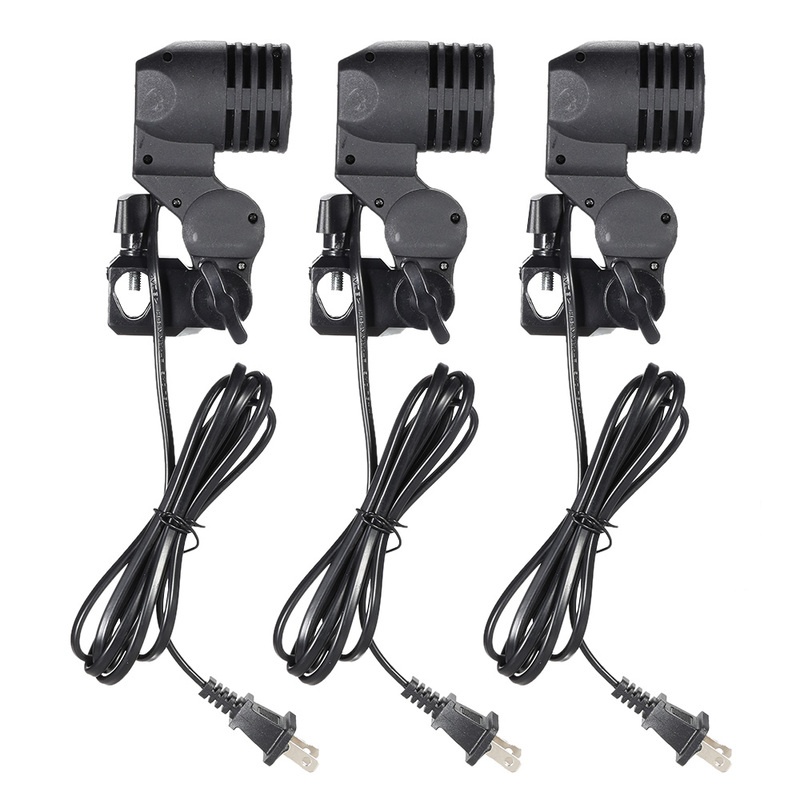 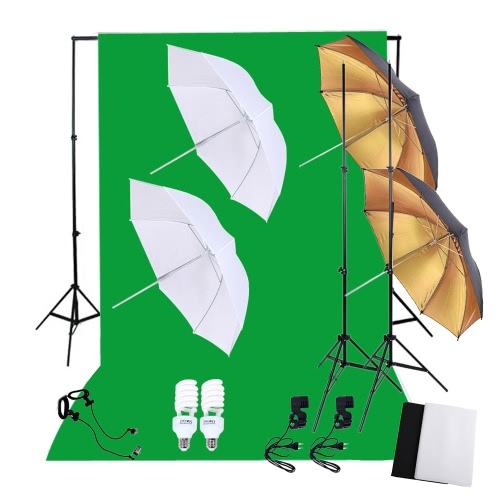 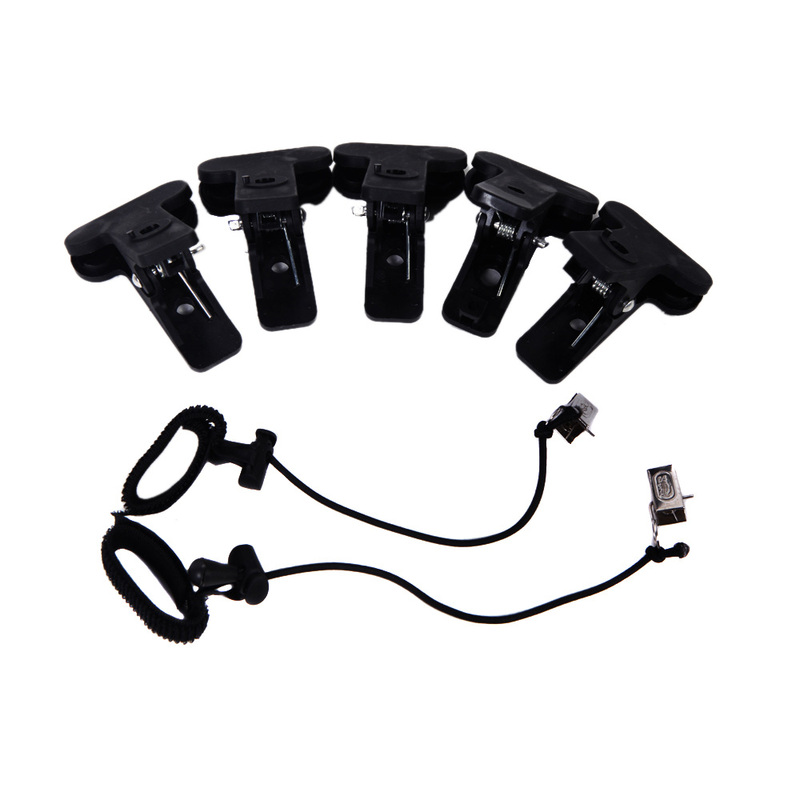 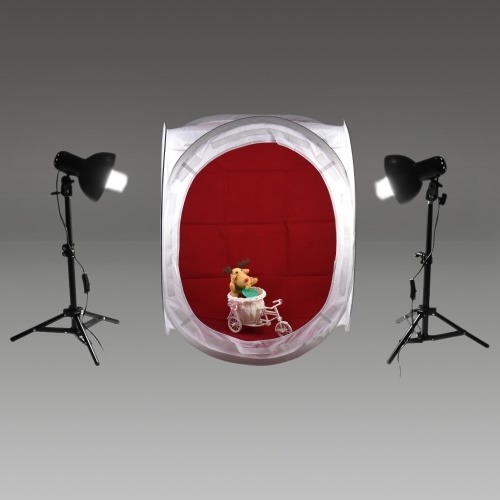 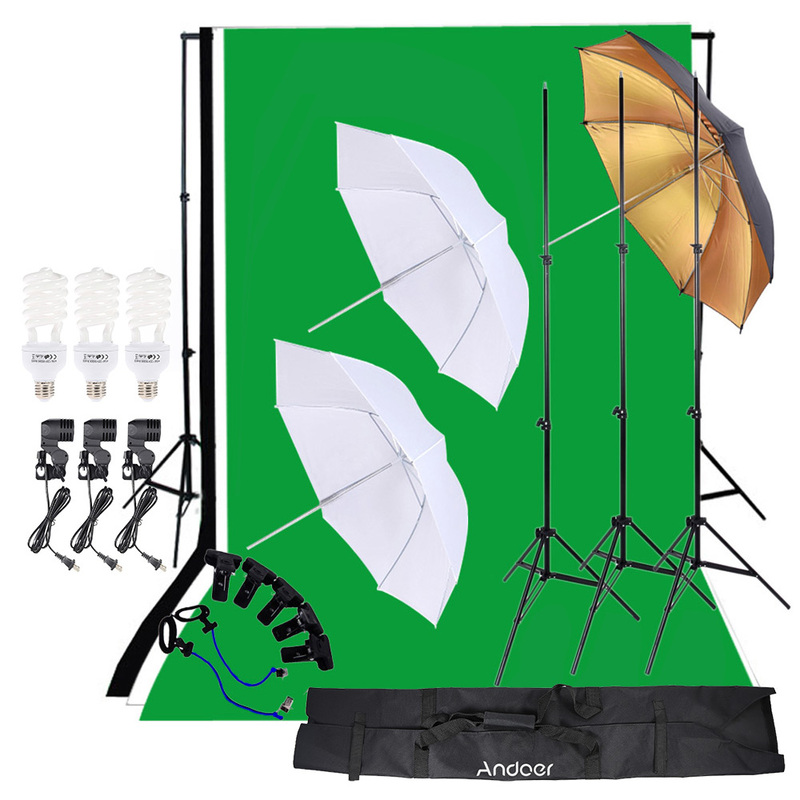 Supplied with 5 clamps to hold the backdrop onto the backdrop stands. 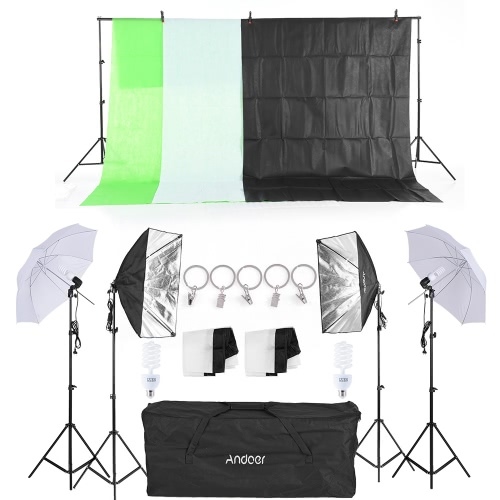 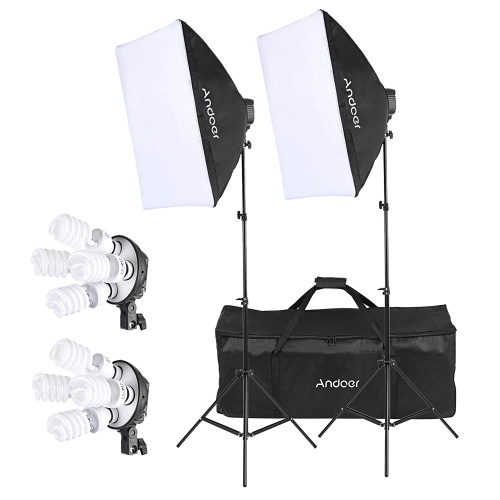 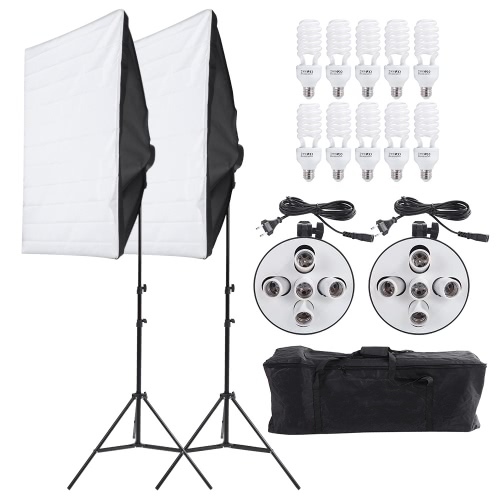 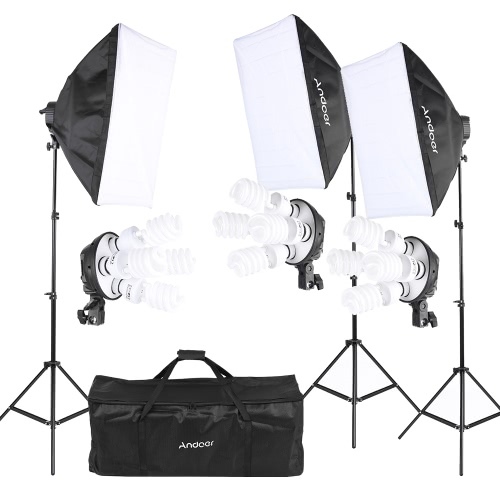 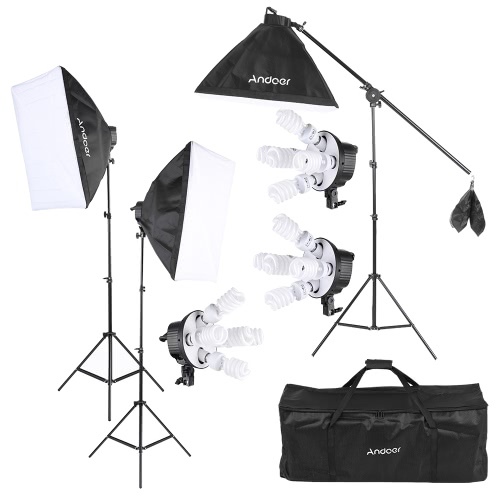 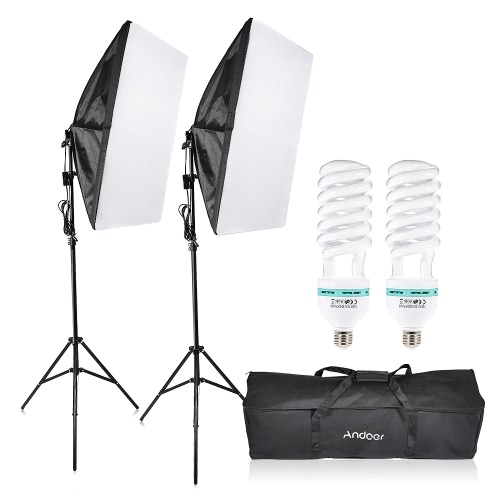 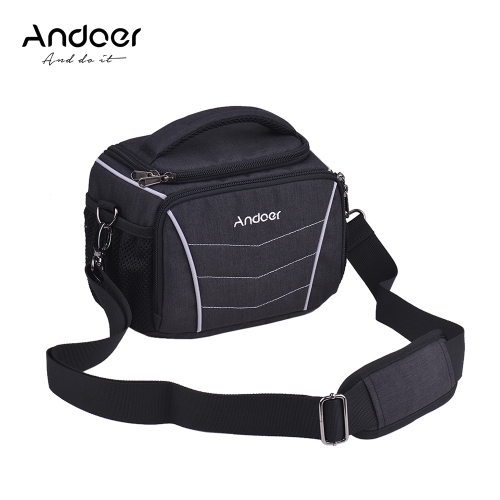 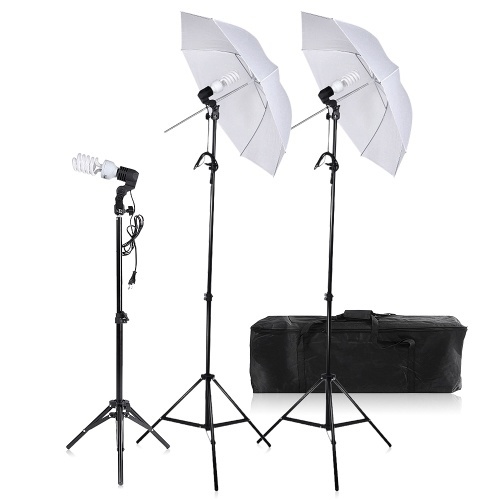 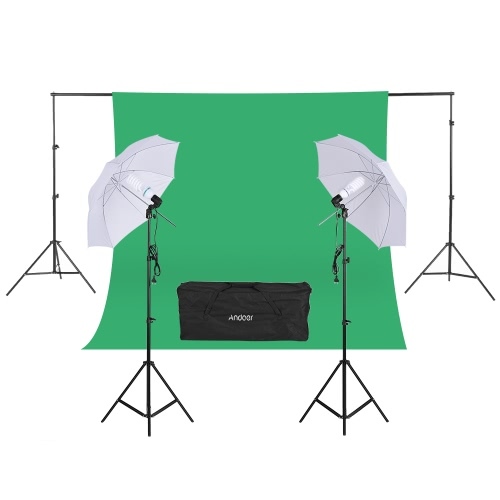 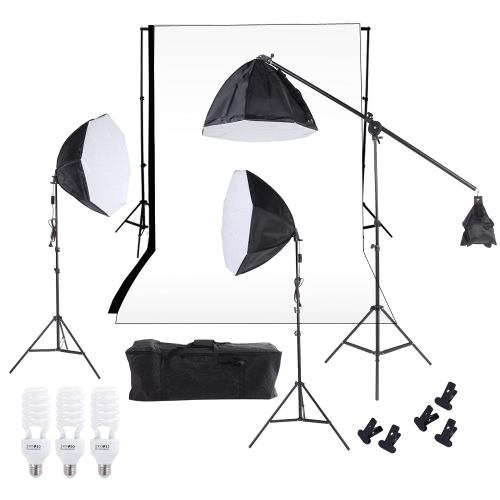 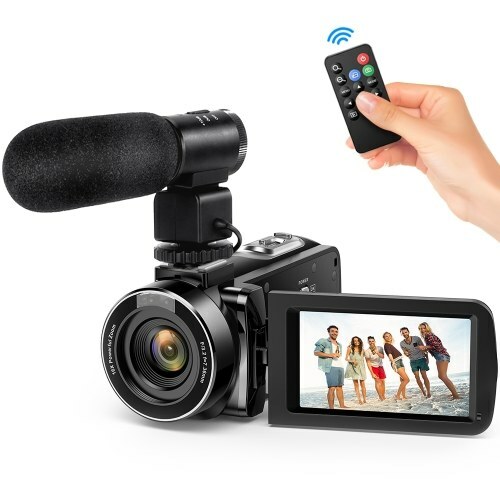 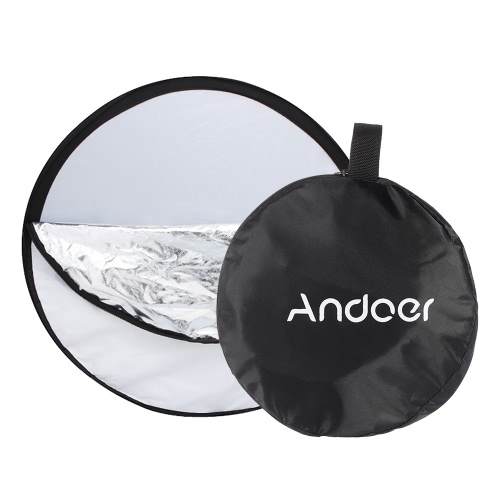 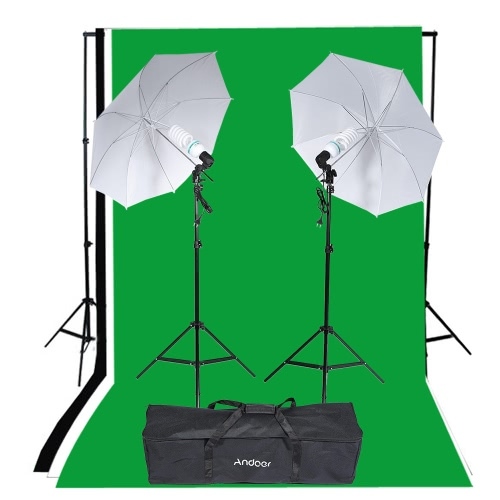 With a carry bag and a backdrop stand storage bag, convenient for you to carry about.